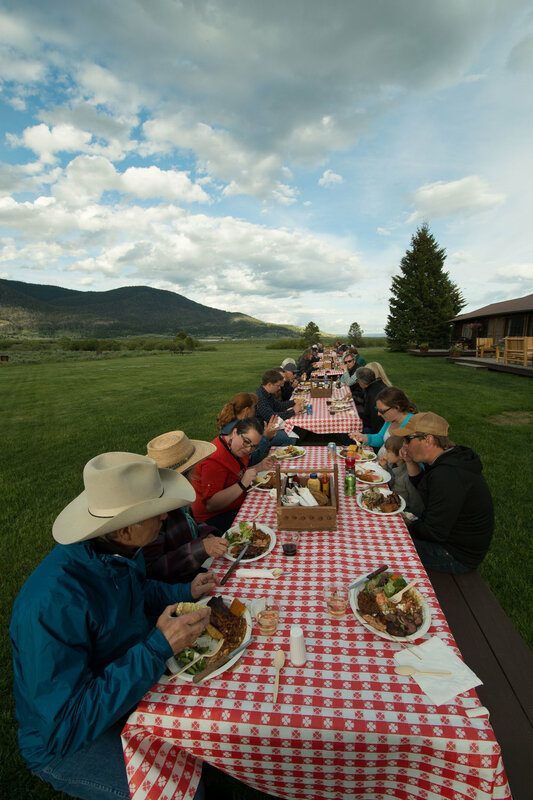 Firehole Ranch continues their longstanding tradition of a weekly barbecue, (usually held Wednesday nights). 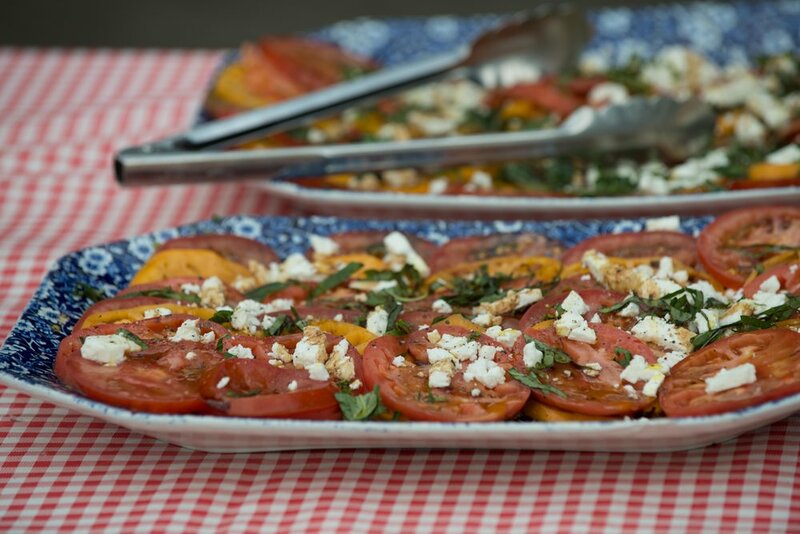 Barbecue brings together all guests, guides, and staff, for an outdoor feast with a backdrop of live bluegrass and western music. After a full day of fly fishing our great rivers, cocktails and craft beer are served on the back deck. Everyone enjoys the magnificent panorama of Hebgen Lake and the Madison Range as they pitch a game of horseshoes, or challenge one of the guides to a fly casting competition, all while being enticed by the aromas wafting from Bruno's fire-grilled delights. 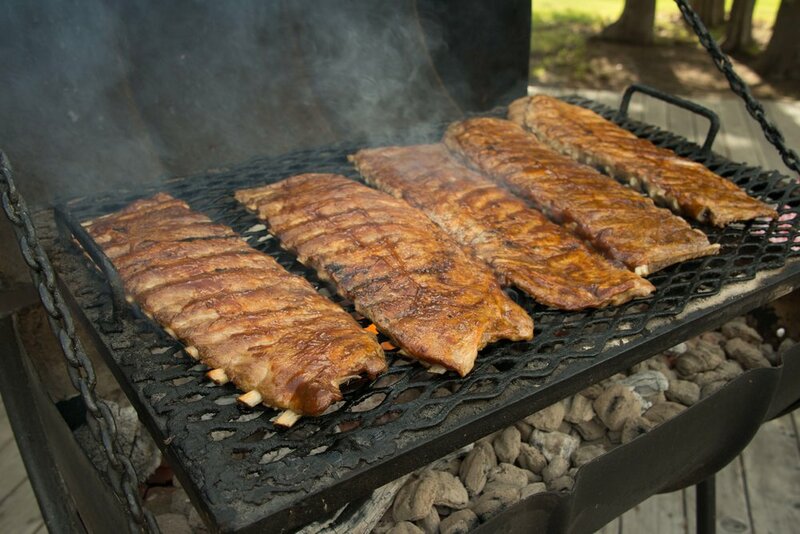 The Firehole Ranch kitchen team presents a stunning array of grilled steaks, wild game sausages, whole sides of grilled salmon, steamers, ribs, cornbread, and salads, just to name a few of the delicious dishes you will find at barbecue. Save room for desert!! Two desert options consist of a scrumptious vanilla ice-cream topped homemade brownie and a delightful fresh-made hot fruit cobbler. We hope you will join us for this special evening.